LOS ANGELES (February 24, 2010) _ The Marijuana Business Reporter will honor the top contributors to the mainstreaming of the emerging medical marijuana industry at an awards program to be held on April 20, 2010 in Hollywood, CA. The Medical Marijuana Honors 4/20 Awards will salute the businesses, non-profits, government entities and other organizations that have made the greatest impact in the last year to greater understanding, standards and progress in moving the emerging medical marijuana industry to the mainstream. A panel of judges drawn from various sectors of the industry will decide the winners of the honors based on an evaluation of overall excellence and accomplishments in bringing medical marijuana into the mainstream. 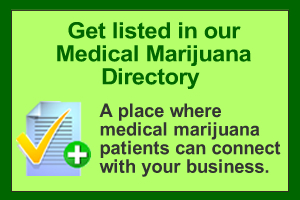 Readers of the Marijuana Business Reporter can nominate their selections for the honors by filling out a form at www.marijuanabusinessreporter.com. Deadline for all nominations is April 1, 2010. The Marijuana Business Reporter is the trade publication of the industry’s emerging mainstream.